Doctors in Australia have identified twins apparently created from one egg and two sperm, a boy and a girl, the second time such twins have ever been reported. 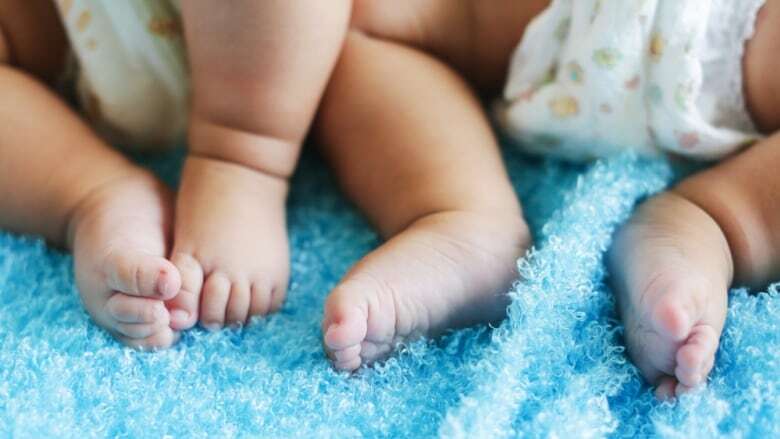 Doctors in Australia say they have identified a second case of twins apparently created from one egg and two sperm, a boy-girl combination in whom the mother's DNA is identical in both babies but the father's DNA varies in each twin. They're being called semi-identical twins, and a new study in the New England Journal of Medicine suggests such twins are rare. The only other reported case was uncovered in 2007. Virtually all twins are either fraternal (two eggs and two sperm have created two separate embryos) or identical (one sperm and one egg create two separate embryos through a division at the blastocyst stage, before the formation of the amniotic sac). "This is confirming there is this third type of twinning where it's not fraternal and it's not identical. It's this strange place in between," chief author Dr. Michael Terrence Gabbett of Queensland University of Technology in Brisbane told Reuters Health in a telephone interview. Each sperm cell contains half the father's DNA. But it's not identical from sperm to sperm because each man is a mixture of the genetic material from his parents, and each time a slightly different assortment of that full DNA set gets divided to go into a sperm. For example, some sperm will contain a copy of the father's Y chromosome that makes the child develop into a boy and some will carry the father's X chromosome, which makes the child a girl. In the case of the Australian twins, who live in Brisbane and are now 4½ years old, the mother's egg was fertilized with one sperm carrying an X chromosome and one with a Y. Because an ultrasound taken early in the pregnancy showed both fetuses shared the same placenta, doctors assumed the fetuses were identical twins. But when an ultrasound eight weeks later revealed that one child was male and the other female, something considered impossible for identical twins, the Gabbett team knew something extraordinary had happened. The researchers say it appears that after fertilization, the DNA from the egg and two sperm divided, then got divvied up to create three embryos. Two of these had enough egg DNA and sperm DNA to make viable embryos. The remaining embryo, with only sperm DNA, was not viable. The twin boy and girl were found to have 100 per cent of their mother's DNA in common, but were only 78 per cent identical in the paternal DNA they carry. The only other reported instance of so-called sesquizygotic twins was identified in 2007, brought to the attention of doctors because one had ambiguous genitalia. To see if the phenomenon might be more common than doctors believed, the Gabbett team examined an international database of 968 fraternal twins and their parents. None showed the same pattern. Because of the odd combination of DNA picked up from the two sperm, doctors have been concerned that the twins might be vulnerable to cancer of the reproductive organs. "It turned out that the girl just had some changes in her ovary that people weren't comfortable with, so unfortunately she had to have her ovaries out," Gabbett said. "The boy is continuing to have his testes monitored" with ultrasound. The girl also developed a blood clot in her arm, but that's not considered to be related to the unorthodox fertilization. "Otherwise," Gabbett said, "the two twins are beautiful kids, well and healthy."